A short aster, heavily covered with purple blossoms in September. 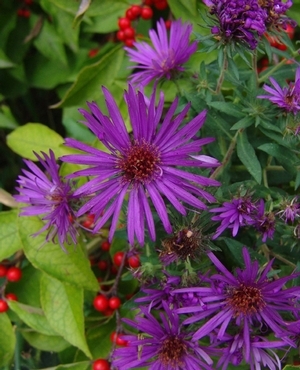 A cultivar of the New England aster, Purple Dome is short and thickly covered with very purple flowers. Can be divided every other year to get new plants and improve plant performance.